As a business owner, one of your biggest responsibilities lies in the proper maintenance of your work buildings and all its systems to ensure the health and safety of your employees and clients. One of the leading causes of respiratory problems in Montgomery County, MD, and the surrounding communities is poor indoor air quality resulting from dirty air ducts. Unmaintained air ducts present the perfect conditions for the proliferation of bacteria, fungi, mold, and allergens. This can result in allergies, sinus problems, and infections in your employees, leading to reduced work performance and more sick leave. Your workforce is essential to the success of your business, so it makes sense to do everything in your power to keep your employees happy and healthy, including providing them with the clean air they deserve. Make it a point to maintain your commercial property’s air vents through the professional services of industry experts such as Real Clean Air in Montgomery County, MD. In addition to protecting the respiratory health of you and your employees, duct cleaning maximizes the efficiency of your HVAC systems. 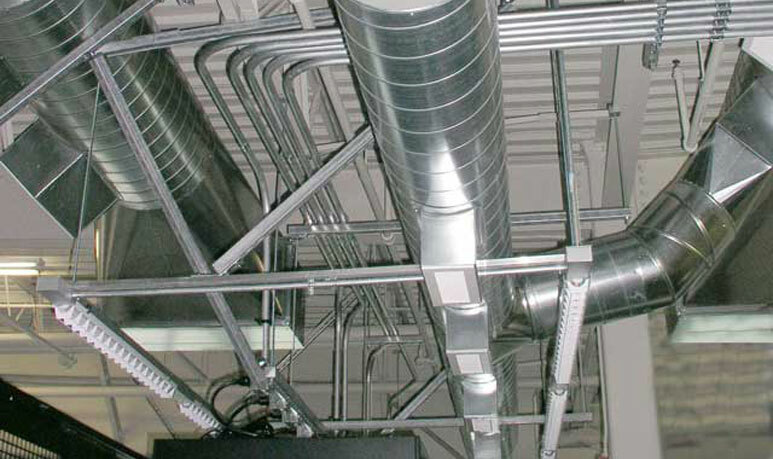 Duct cleaning in turn leads to even heating and cooling throughout the building, as well as reduced utility bills to cut down your operational costs. This leaves more room in the company budget for other matters. While the condition of your property’s air ducts may not be visually confirmed due to being placed out of reach, there are a number of signs that can help clue you in as to whether your industrial building could benefit from duct cleaning. The National Air Duct Cleaners Association recommends that the air ducts of your commercial property undergo a thorough, professional inspection and cleaning at least every three to five years. The exact timespan required by your building depends on a number of factors, such as the size of the property, the work performed in it, and the type of HVAC system you use. When you call Real Clean Air in Montgomery County, MD, you’ll be able to schedule a free comprehensive estimate with our knowledgeable HVAC techs. Our experienced technicians will sit down to gather vital information about your commercial property such as its size, the types of services rendered in the building, the amount of time since your last duct cleaning, and more. The average cost of industrial duct cleaning ranges from $450 to a couple thousand dollars depending on a number of factors unique to your needs. Taking advantage of our free estimates is a great way to get a better idea of your costs. In addition, all of our services are backed by a 100% satisfaction guarantee, so you can breathe easy knowing your commercial property is in good hands. Call today for more information on commercial vent cleaning!